ARLINGTON, Va. The Defense Advanced Research Projects Agency (DARPA) has announced a new initiative it calls Learning with Less Labels (LwLL), in which the agency will research new machine learning (ML) algorithms that require greatly reduced amounts of information to train or update. 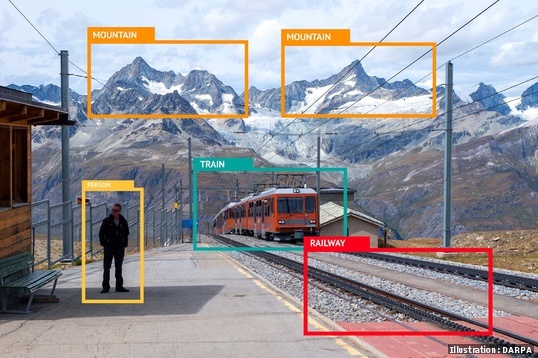 DARPA materials state that as ML systems have progressed, deep neural networks (DNNs) have emerged as the state-of-the-art in ML models; these DNNs can drive tasks like machine translation and speech or object recognition with a much higher degree of accuracy. The drawback: Training DNNs requires massive amounts of labeled data, typically billions or tens of billions of training examples, a process that is costly and time-consuming. Additionally, most ML models are brittle and prone to breaking when there are even small changes in their operating environment. For example, if the room's acoustics change or a microphone's sensors pick up something anomalous, a speech-recognition or speaker-identification system may need to be retrained on an entirely new data set. DARPA officials say that the LwLL researchers will explore two technical areas. The first area, looking at building learning algorithms that efficiently learn and adapt, will research and develop algorithms capable of reducing the required number of labeled examples by the established program metrics without sacrificing system performance. The second technical area charges research teams with formally characterizing ML problems, both in terms of their decision difficulty and the true complexity of the data used to make decisions. “Today, it’s difficult to understand how efficient we can be when building ML systems or what fundamental limits exist around a model’s level of accuracy. Under LwLL, we hope to find the theoretical limits for what is possible in ML and use this theory to push the boundaries of system development and capabilities,” noted Shen. DARPA is holding a Proposers Day on July 13 for those interested in learning more about the LwLL program. For additional information, interested parties can visit https://www.fbo.gov/index.php?s=opportunity&mode=form&id=3f255bc43c88d5006ed20cee13e97062&tab=core&_cview=0. A full description of the program will be made available in a forthcoming Broad Agency Announcement.